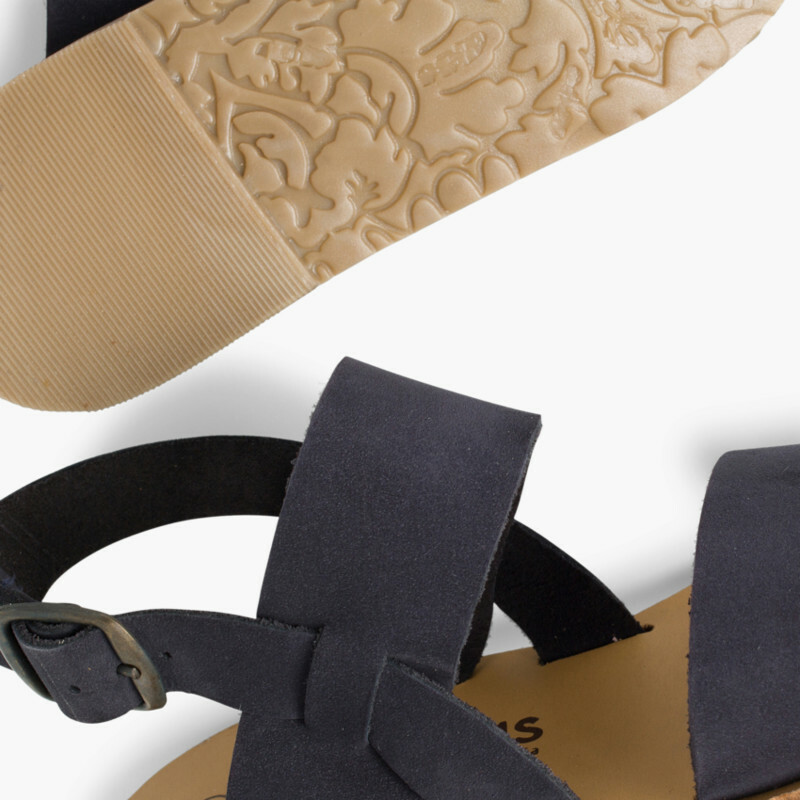 All girls love sandals, especially if they can wear them matching mum’s! 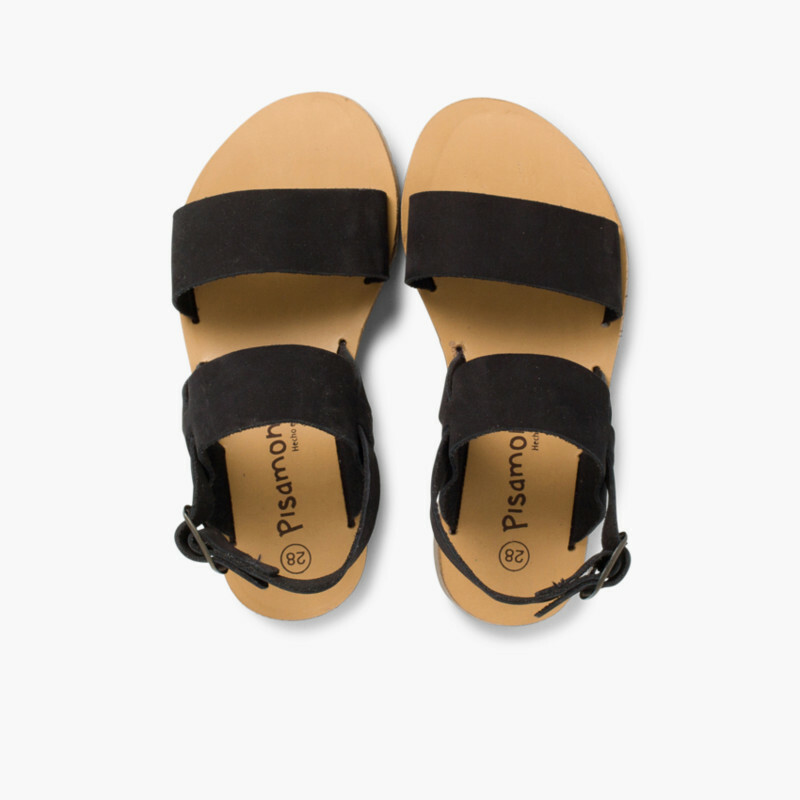 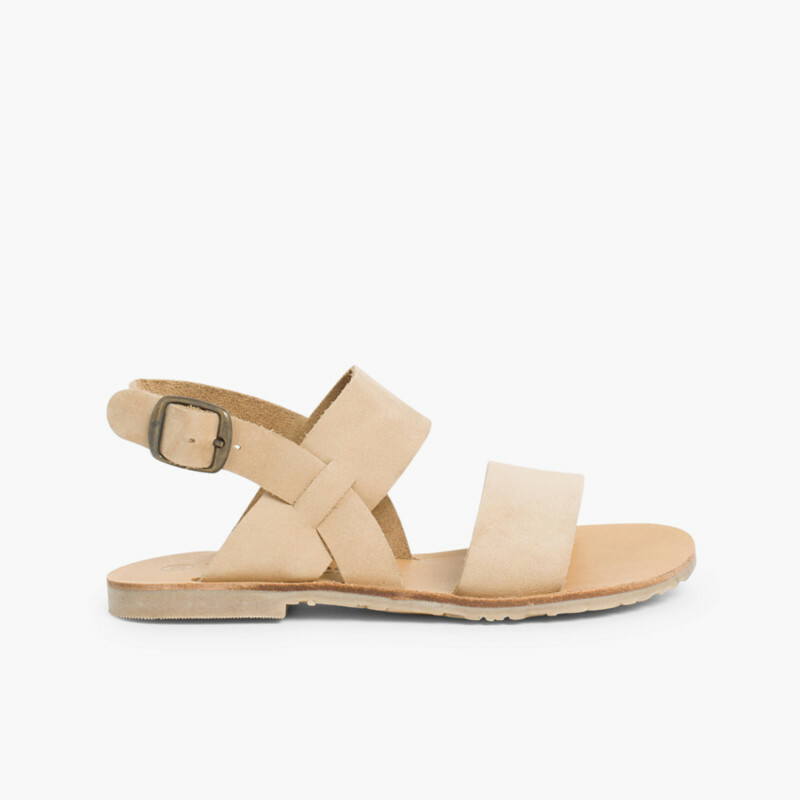 These summer sandals are available in sizes 10,5C to 21 and in three different colours so you can choose the ones that best combine with your girl’s clothes, and with yours too, if you decide to go for the “mum & me” look. 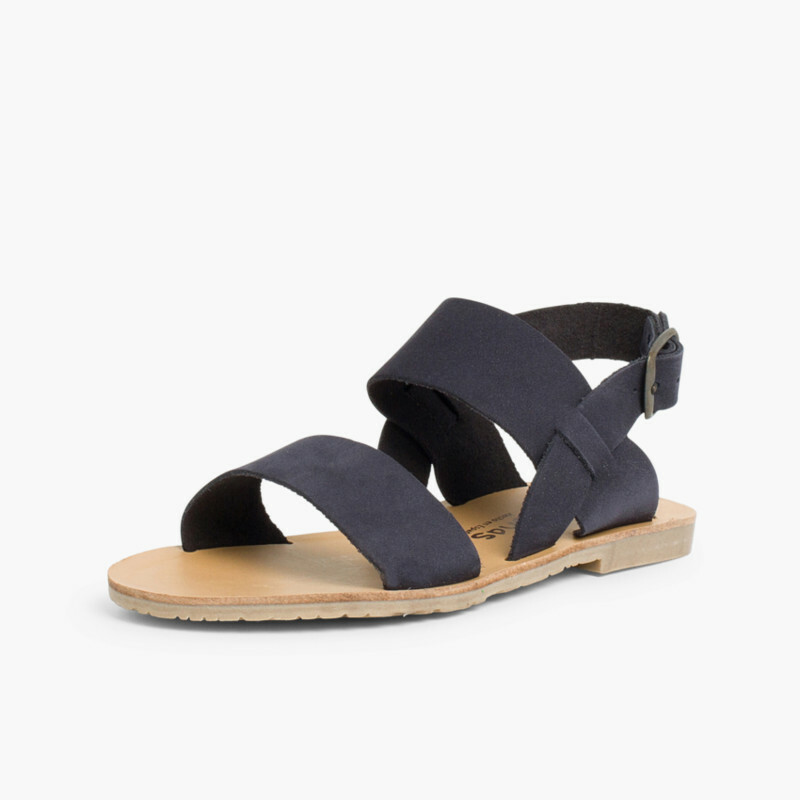 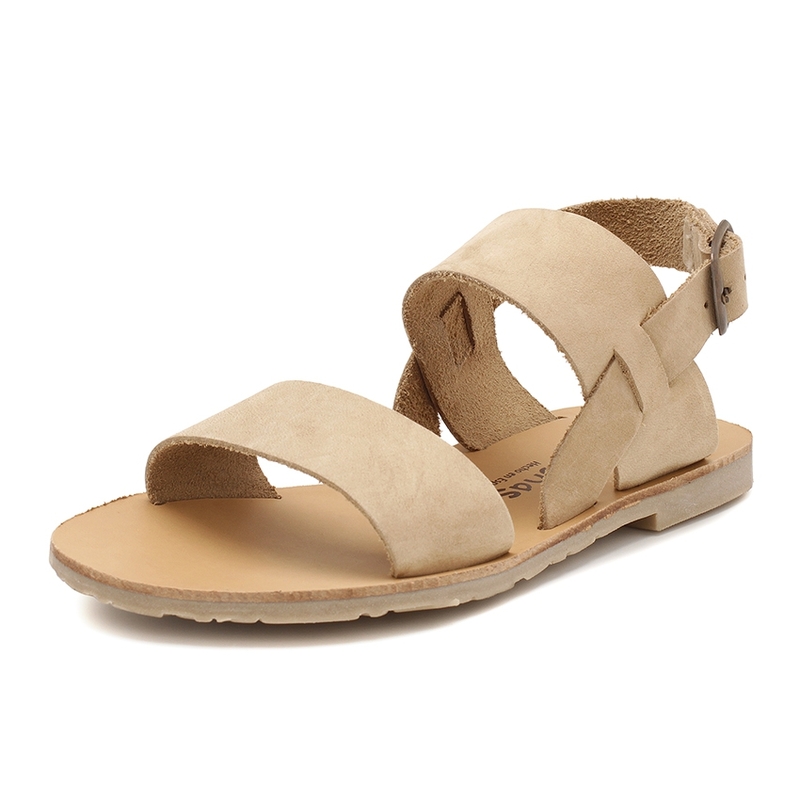 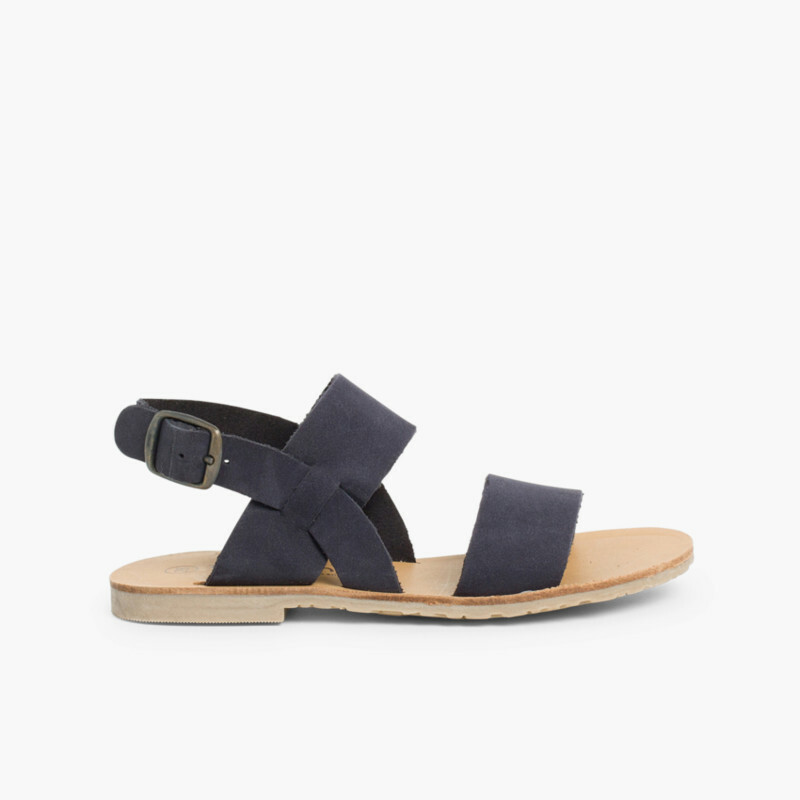 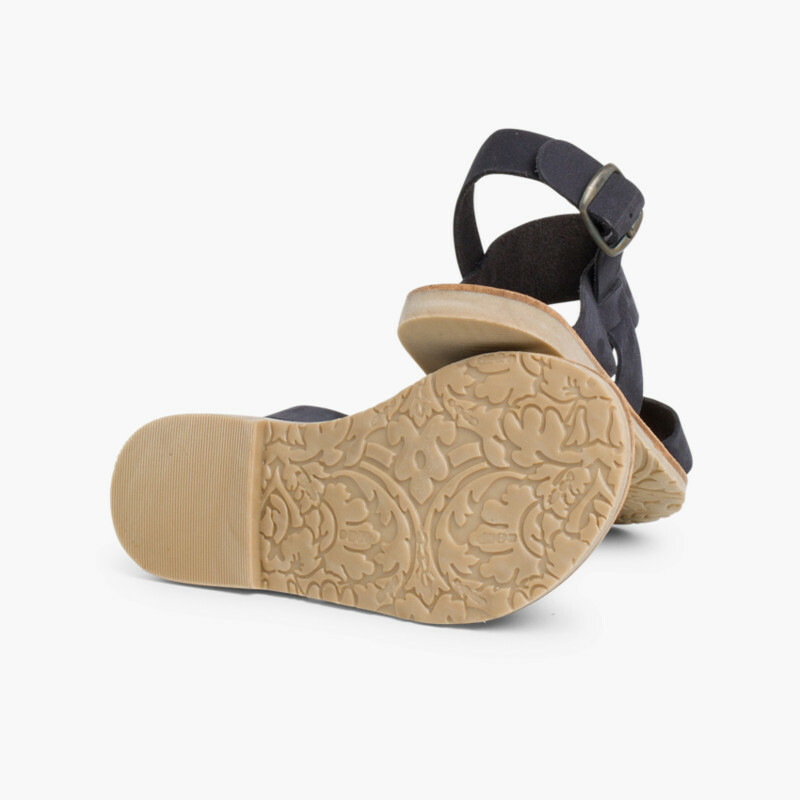 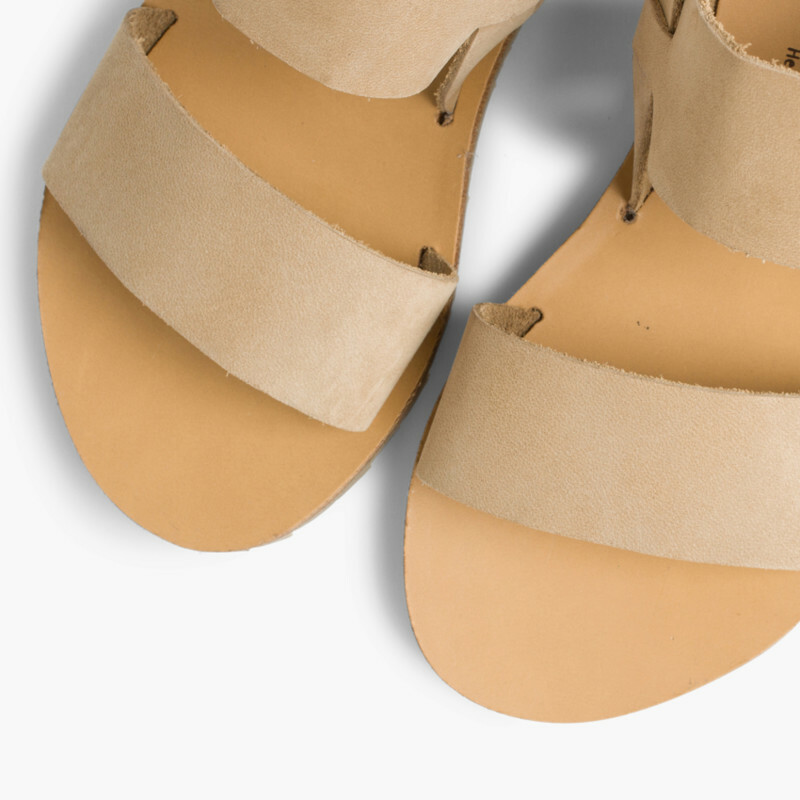 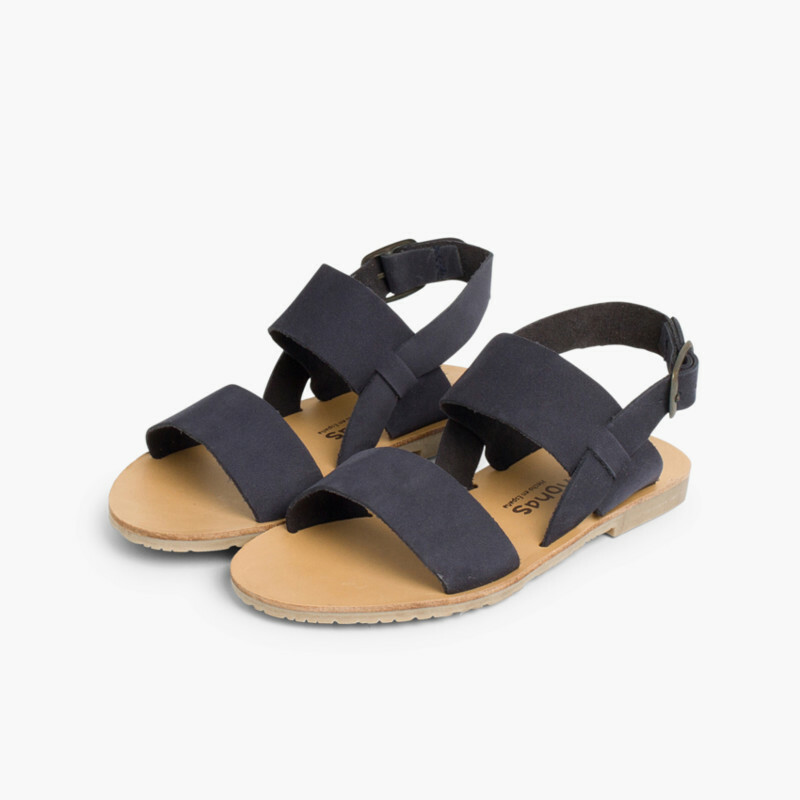 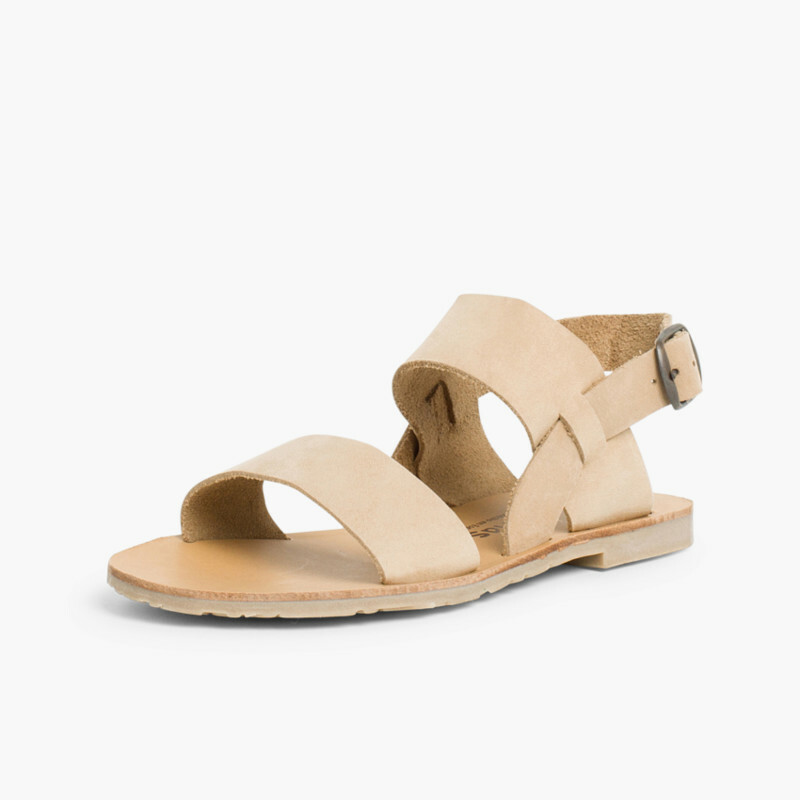 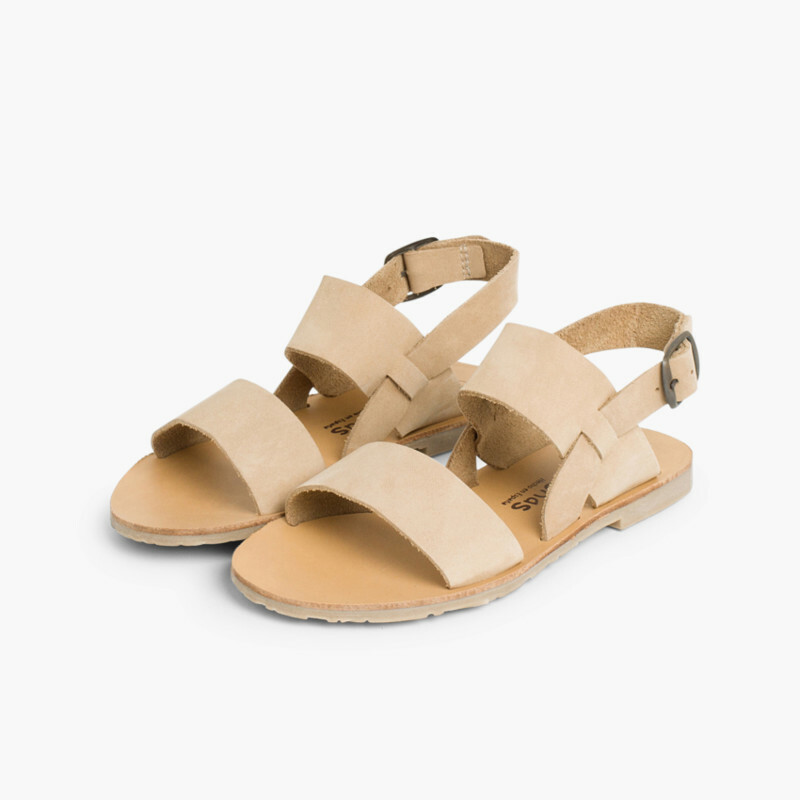 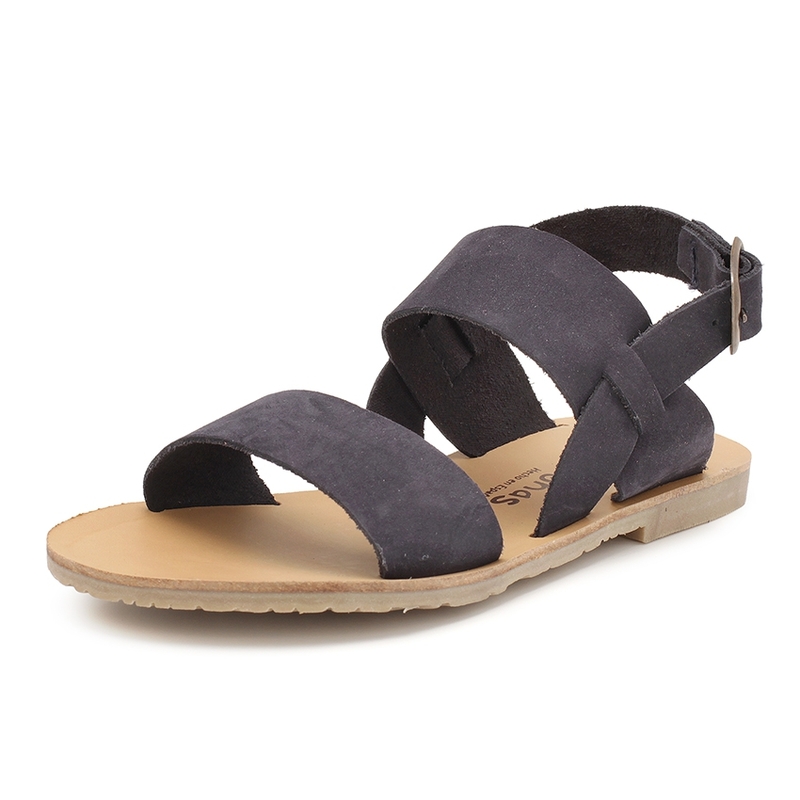 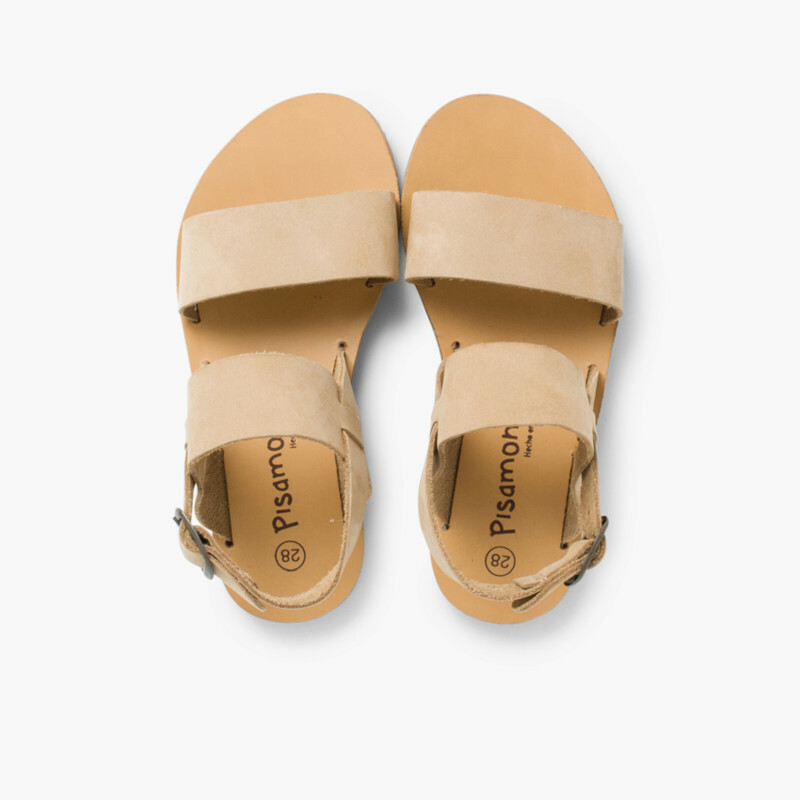 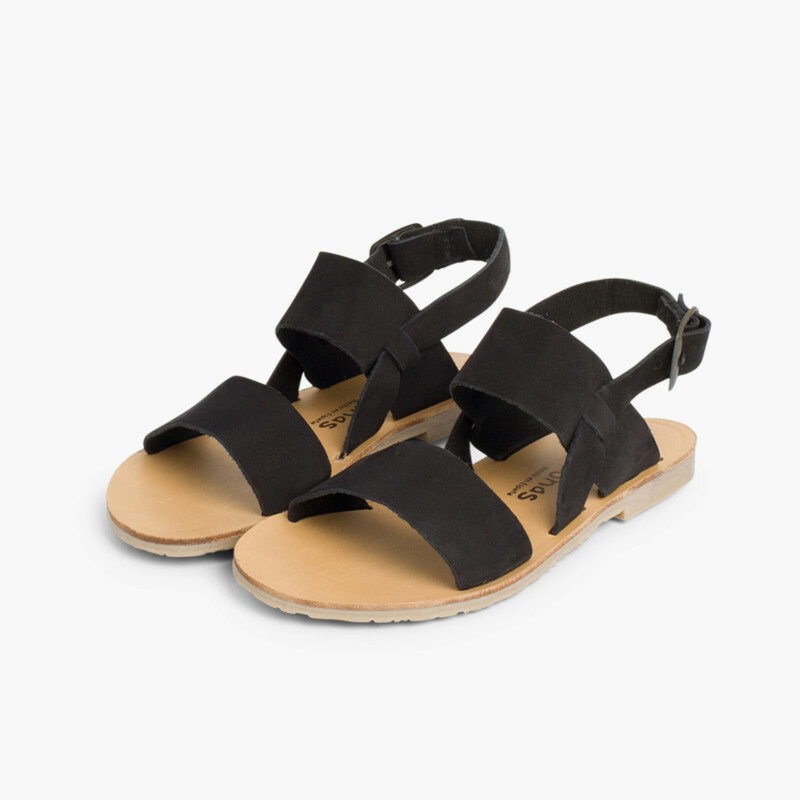 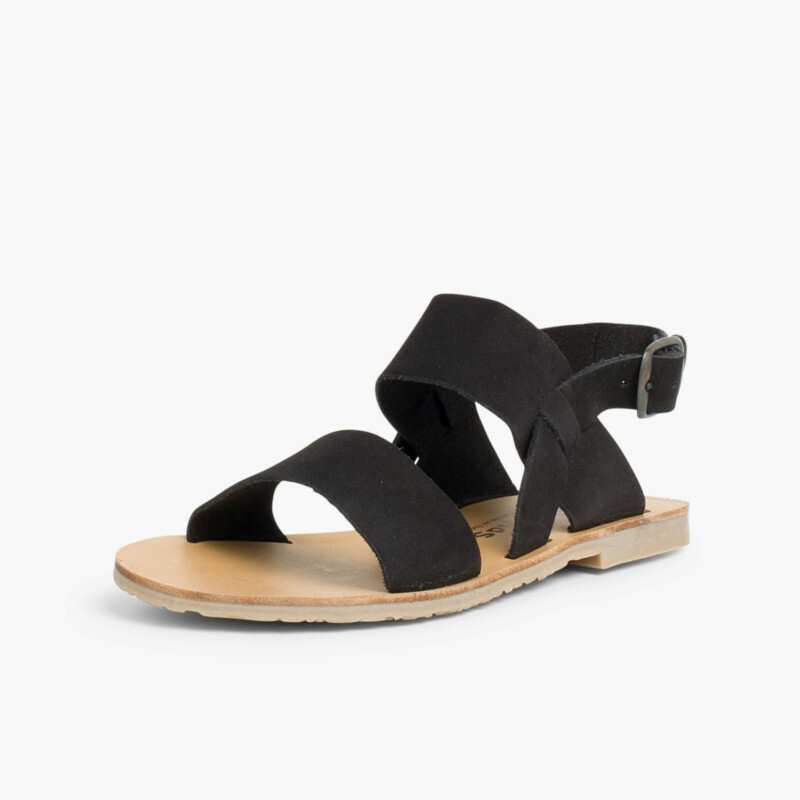 Made in Nubuck, a very soft and flexible leather similar to suede, with a flat sole and buckle up fastening at the ankle, they are perfect to wear with skirts or dresses during the summer months. 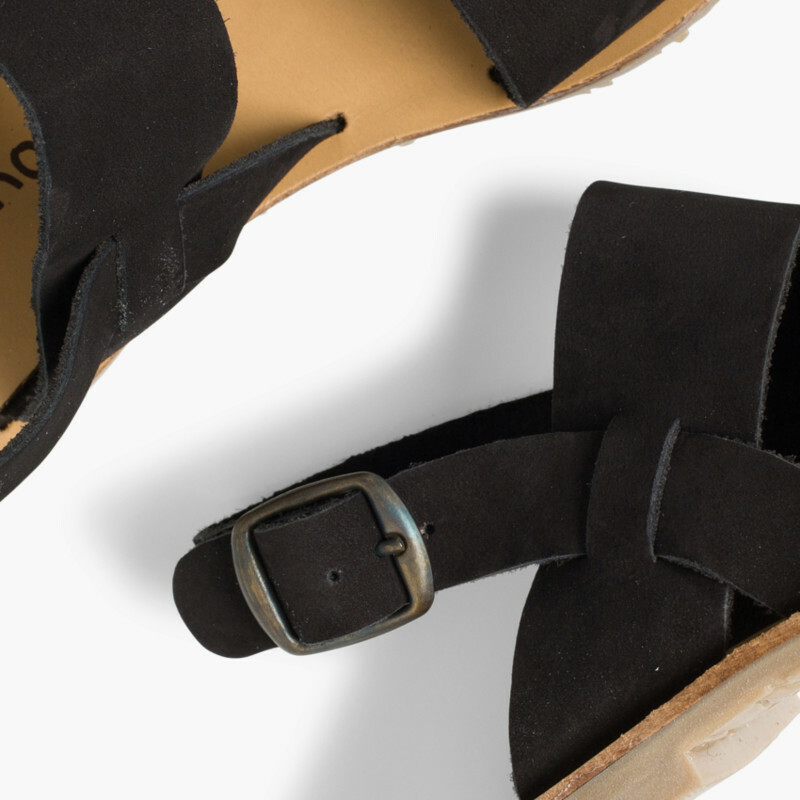 Your daughter’s feet will be secure, comfortable and cool. 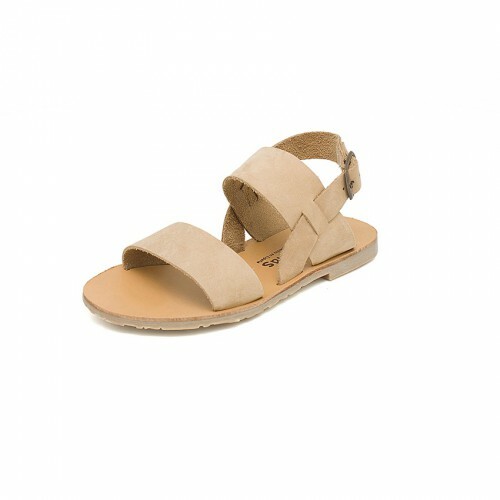 Available in navy blue, black and beige, they’ll become the go-to shoes in your daughter’s wardrobe. 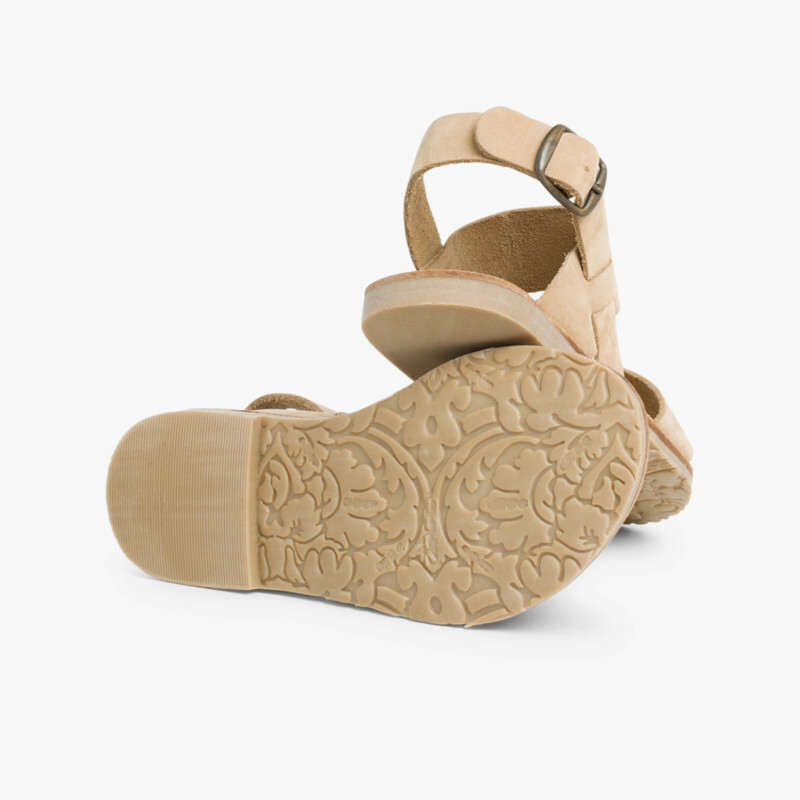 They’ll match all her outfits and they are so comfortable your little princess won’t take them off all summer. 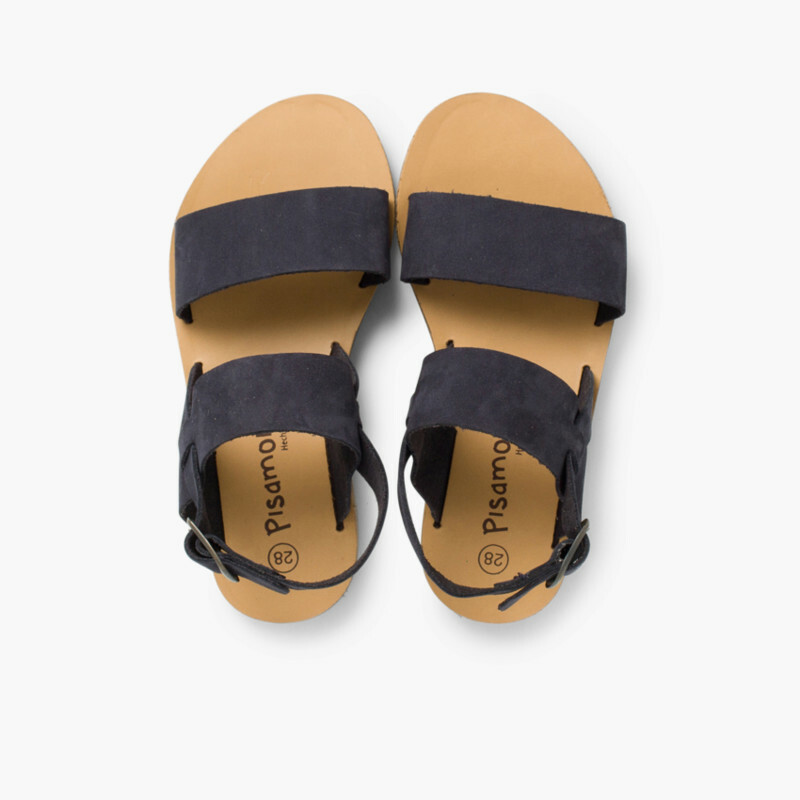 Comfortable and fashionable steps with Pisamonas! 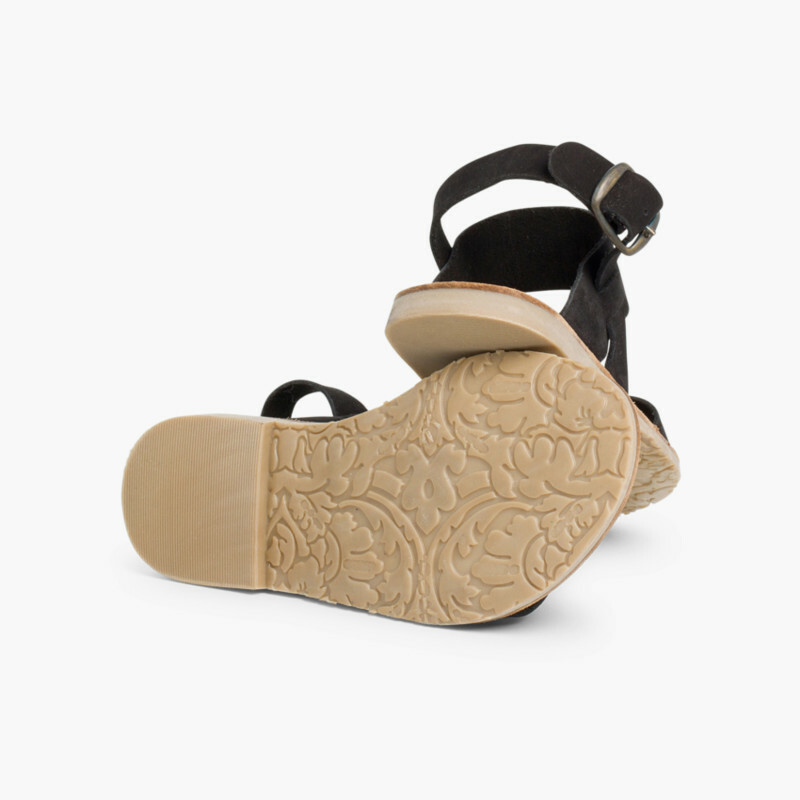 At Pisamonas, your go-to children’s shoe shop, deliveries, exchanges and returns are always free.